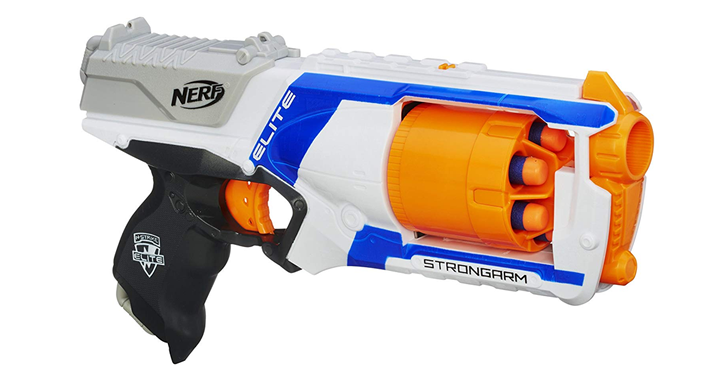 Nerf N-Strike Elite Strongarm Blaster – Amazon Exclusive – Just $8.87! Easter basket filler! These Nerf blasters are another great choice for an Easter basket filler! I love Nerf blasters – they are some of my very favorite toys! Perfect for the gift closet too! Grab one before it is gone! How about this great deal from Amazon? Get the Nerf N-Strike Elite Strongarm Blaster – Amazon Exclusive for just $8.87!